A recent report to the DOE from solar leasing and installation firm SunRun claims that installation costs can be reduced by 50 cents per watt simply by harmonizing the solar permitting process from town to town. The report claims that inconsistencies in permitting can cost consumers up to $2,500 on a 5-kilowatt rooftop solar system and notes that inconsistencies in local permitting are one of the critical roadblocks to a sustainable, subsidy-free solar industry. 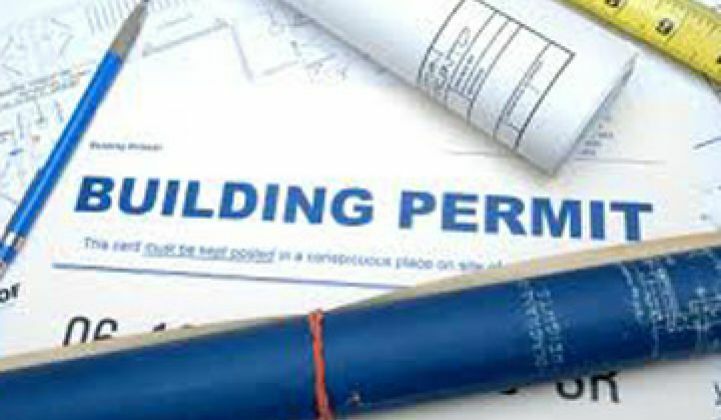 The time spent by installers in getting the building, zoning, and fire department permits, waiting for inspection, dealing with changes -- and losing customers in the process -- inflates the cost of the permitting process up to $0.50 per watt. SunRun’s report recommends that the DOE lead a new Residential Solar Permitting Initiative, starting with high-volume cities that impact more than 50 percent of the solar market. Most everyone in the solar industry acknowledges that these soft costs need to be brought down. And a recent survey points to cost as being the main perception obstacle to consumers putting solar on their roofs. Now that the culprit has been identified -- how does the solar industry take real steps toward changing the situation? That's what SolarTech has set out to do. It's one thing to pontificate about the solar industry's issues and it's another to set out a roadmap with actionable steps to make changes in the way the solar industry does business. A summary panel at last week's Solar Leadership Conference organized by SolarTech and moderated by Greentech Media's CEO, Scott Clavenna, identified these actions. Create solar as an asset class (like a mortgage) -- establish solar as an asset class, driving towards aggregation so that bankers can join disparate entities. Standardization of credit qualification -- how do developers better qualify offtakers? Outreach and education -- targeting local and regional banks in an educational process to broaden the lending base. Is there a way for the industry to better self-police? Safety: design in compliance features -- we don't want people falling off the roof and dying. We need safety in the life of the systems, DC disconnects and maintenance disconnects. Opening up rule 21 workshop to allow more projects to pass the screens. This is how Scott Clavenna, the moderator of the panel, summarized it: "I think the solutions that jumped out at this meeting centered on educating the whole financial industry on the investment value of commercial and residential solar systems, and continuing to standardize the processes around permitting, interconnection and installation. It works very efficiently in Europe today because of the simple structures in place there at national levels and because banks there have a deep understanding of solar project values. In the U.S., we're stuck with state and local levels of complexity when it comes to installations, and financial expertise limited mainly to major national banks. This mismatch today is a real market inhibitor and needs to be addressed by the entire solar industry, not just individual suppliers and developers. With all of these points in mind, SolarTech has issued The Solar Challenge, looking to get municipalities to allow solar installation to go from closing the deal to interconnection in 60 days. Doug Payne the Executive Director of SolarTech has commented on the "trifecta" of cost reductions in permitting, inspection, and interconnection, claiming that there's up to $1.00 per watt of savings to be had in this trio. In Payne's words, "It’s not about technology anymore."